This formula is targeted for acne and seborrheic skin types and is designed to improve skin prone to these condition: hyperkeratinization, hyperseborrhea, inflammatory lesions. 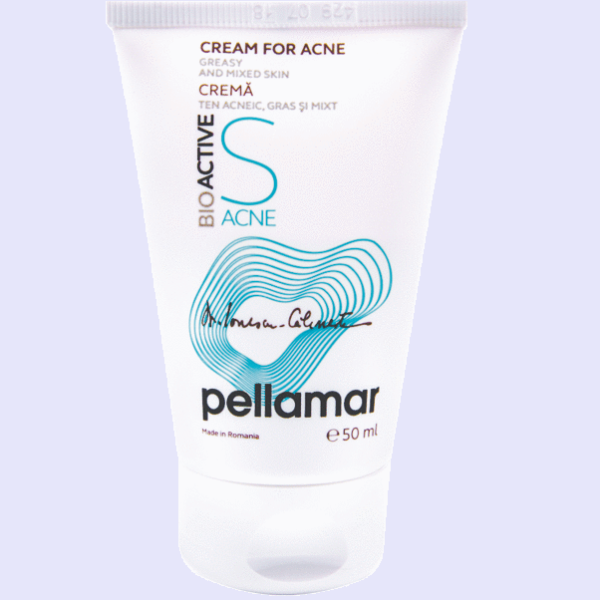 The active principles of this cream aim to remove impurities and reduce their development. 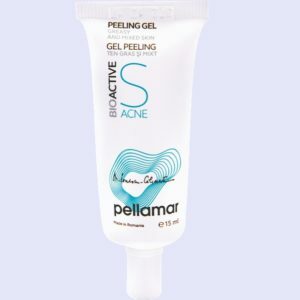 It prevents the development of microorganisms causing inflammatory and purulent acne forms, as well as cleaning the epidermis, reducing the risk of scars forming and removing blackheads. It adjusts the sebaceous glands activity and stabilizes the sebum excess, reducing the drying process of the skin. It calms irritations and hydratesthe skin, improving its appearance. Regular application improves flexibility and appearance of the skin, effectively fighting against acne. After use, the skin regains its beauty, healthy appearance, impurities are prevented, the pores are reduced and the skin is smoother, less sensitive to the formation of blackheads, inflammatory forms and pimples. Apply this cream in the morning and the evening to target acne and seborrheic skin types. Apply the cream on clean and dry skin after using the facial gel or soothing lotion. Work the product into the skin gently using circular motions around the face. AQUA, GLYCERYL STEARATE, PEG 100-STEARATE, ISOPROPYL MYRISTATE, SWEET ALMOUND OIL, SALIX ALBA (WILLOW) BARK EXTRACT / PROPYLENE GLYCOL / SORBITOL, MINERAL SALTS AND AMINO ACIDS FROM PELLOID MUD EXTRACT (PELL AMAR), PEG-40 H CASTOR OIL / ICHTHAMMOL, LAVANDULA AUGUSTIFOLIA EXTRACT, ALOE BARBADENSIS LEAF JUICE, COLAGENE, ETHYLHEXYLGLYCERIN / PHENOXYETHANOL, LECITHIN / TOCOFERYL ACETATE. 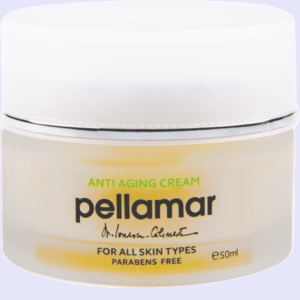 A very good cream, in just a few days I saw a good change for my skin. It’s the product I needed (I have a mixed / oily), it has a healing, soothing, anti-irritant effect. I used it as a makeup base. To my surprise, does a great job. I like the pleasant smell and the fact that it absorbs quickly. After a week I see visible changes. It fits well with my skin with a tendency of oily. The skin looks better now and is cleaner.